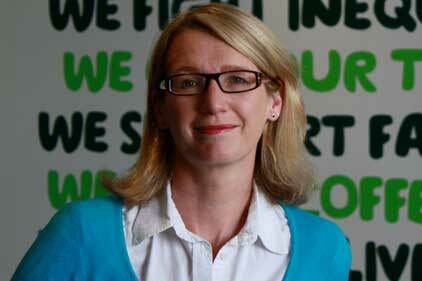 Macmillan Cancer Support has shaken up its comms team with the appointment of a new head of media, as its co-head of external affairs moves to another internal role. The charity has promoted Lynda Thomas to become director of fundraising, with Hilary Cross taking on the full role of director of external affairs and Emma Guise drafted in as head of media. Thomas’ new full-time position follows a long-term job share with Cross in the director of external affairs role. Meanwhile, Guise joins from homelessness charity Shelter, where she spent more than six years, most recently as deputy head of media. Marc Silverside, interim deputy director of external affairs at Macmillan Cancer Support, added: ‘Such change creates great benefits and bring new experience and new ideas to different areas. ‘With Lynda moving to fundraising she will bring to the role a different view and fresh thinking, and will be able to integrate areas of funding with external affairs. Thomas had taken on the role on a stand-in basis after Amanda Bringans left last summer without a job to go to. Thomas joined Macmillan in 2001 as head of media, in a job share with Cross. The pair then developed Macmillan’s campaigning arm, created its internal affairs team and were promoted to board level as director of external affairs. The news comes ahead of a packed schedule of work for the team, including a week-long campaign later this month focused on people discussing cancer that will include a video on the topic involving Seth Rogen and Joseph Gordon-Levitt, stars of Hollywood hit 50/50.